If the anti-immigration wing of the Finns Party seizes power, moderates like Tiina Elovaara will struggle. So why won’t they leave? What’s a nice girl like you doing with people like that? Finns Party member Tiina Elovaara is used to patronizing questions regarding her political affiliation. Because, in all honesty, we all think we know exactly what a typical member of the right-wing populist party looks like. They are poorly educated, xenophobic plebs from the peripheries, who have never set eyes on an immigrant but are dead scared of them anyway. Or then they are Nazi wannabes from the Finnish Resistance Movement, who gather in their chambers to sacrifice small children to their ‘master’, Finns MEP Jussi Halla-aho, while chanting his selected works from Halla-aho’s notorious blog Scripta. We have an extensive, more or less truthful idea of what the Finns Party is about, and Tiina Elovaara does not tick any boxes. She is a 30-year-old (i.e. young), highly educated woman, who is studying adult education at the University of Tampere and is capable of thinking about issues other than immigration. Elovaara is interested in so-called ‘regular things’: education, welfare and security. In her 2015 parliamentary election campaign, she lobbied for more humane, positive and caring politics. In parliament, she has left written questions about government funding for children’s hospitals and drafted a bill to defend victims of school bullies. She also signed a bill called “A tomorrow without fear”, which aims to ban organised racism. Tampere-based Elovaara is also interested in how the Finnish broadcasting company Yle could develop its regional operations in Tampere. “I’ve even felt quite touched by how interested people are in my choice of partyand my wellbeing,” Elovaara says, clearly amused. 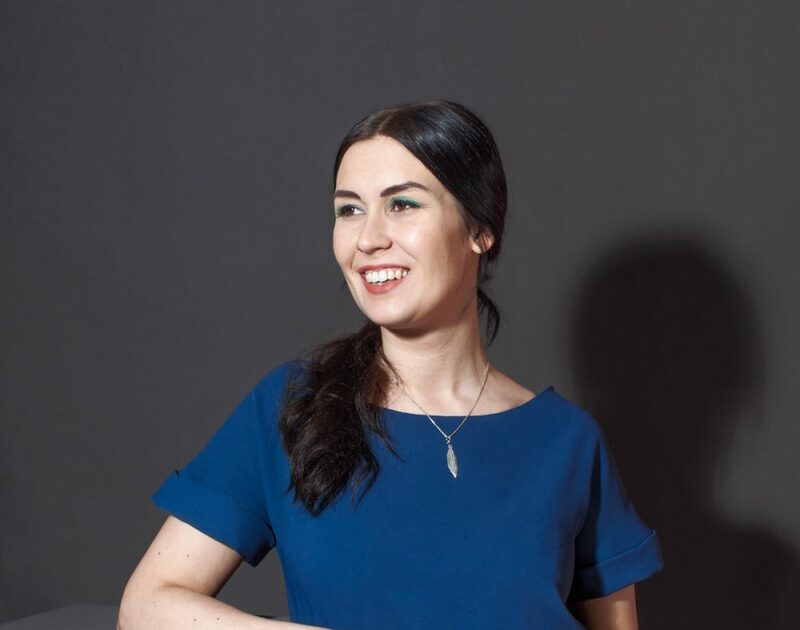 A woman like Elovaara should be a valuable asset for the Finns Party’s public image – and she would be if the party was at all interested in appearing presentable. As it is, women like Elovaara are not a particularly important demographic for the party. Some colleagues have expressed their contempt towards Elovaara’s politics, with online commenters in the “immigration critical” discussion forum Homma wishing her a speedy departure to the Social Democratic Party. Last November, online magazine Long Play speculated what would happen, if seasoned Finns Party leader Timo Soini stepped down as party leader. Elovaara told the magazine that a harsh immigration critic would scare people like herself away from becoming affiliated with the party. Finns Party members from the party’s anti-immigration wing describe themselves with the Finnish word “nuiva”, meaning cold or standoffish. Elovaara’s comment was widely interpreted to mean that if someone too “nuiva” or radically anti-immigration were chosen, Elovaara would leave. According to Elovaara, she was talking on a more general level. That did not cut it. In an interview for tabloid Iltalehti, the second vice chair of the Finns parliamentary group Leena Meri accused Elovaara of pressuring and threatening the party. Elovaara, in turn, says she feels like she is being maneuvered out. She won’t reveal any details, but says the “conflicts” between her and the party can be seen on both small and larger issues. So why won’t she leave? Elovaara mulls over her words and emphasises that she is–again–speaking on a general level. “Switching parties rarely is the answer,” she starts. To understand why defecting seems like such an impossible thought to Elovaara, one must understand where she comes from. Elovaara is a first-term Member of Parliament, and has been active in the Finns for a decade–a third of her life. The Finns, formerly known as the True Finns, were born in the aftermath of the dissolution of the Finnish Rural Party in 1995. Around that time, Tiina Elovaara was still navigating through girlhood in the notorious Tampere suburb Kaukajärvi. Elovaara grew up next door to a sanatorium for alcoholics. Her mother died of cancer when Elovaara was nine. Her father was a drunk. Back then the Finns were a minor political player, with only a single MP that largely went ignored. Nobody really knew what the party stood for and nobody really cared. But Elovaara did. She saw the party as an alternative to the stiff mainstream parties. Since the very beginning, the Finns have been more of a citizens’ movement with room for everyone. For Elovaara, the Finns have given regular citizens decision-making power on issues of national importance and placed them in influential roles usually reserved for the elite. “Some grow into the roles, some don’t,” she says. Regardless of your background, the party gave everyone a fair shot. That is exactly how Elovaara sees herself. The sole reason for her loyalty is her gratitude. As a first-term parliamentarian, Elovaara snagged spots in the Environment and Foreign Affairs Committees. The latter committee aligns with Elovaara’s interests, and she has been able to work with foreign policy heavyweights like former Prime Minister Alexander Stubb and former presidential candidate for the Green League, Pekka Haavisto. For Elovaara, positions in the “major-league” prove how much her party trusts her and provide her with opportunities that would otherwise be unattainable for a young woman. A cynic might say that Elovaara’s swift rise to important political positions is no surprise. After all, the Finns Party has unhinged MPs like Teuvo Hakkarainen and Pentti Oinonen in its ranks, who should not be allowed outside much less able to influence foreign policy. 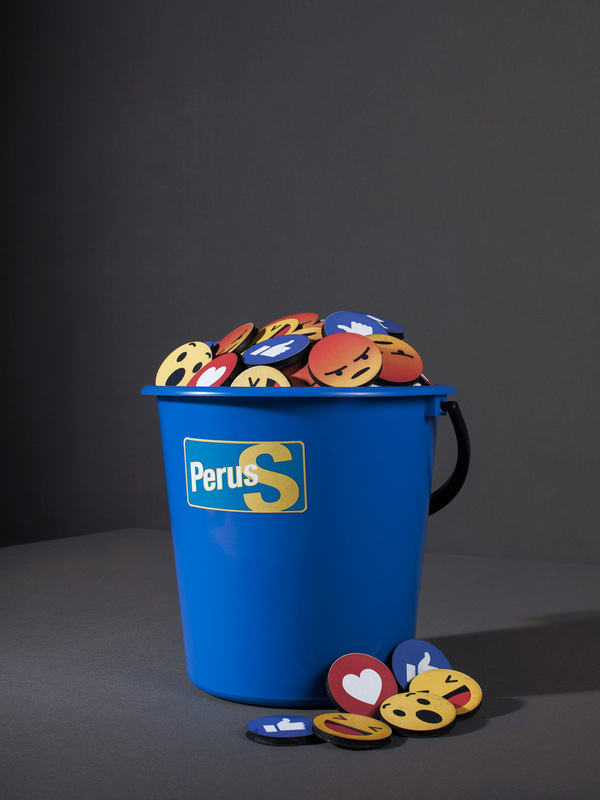 The Finns Party has tested the Finnish media on several occasions, with varying results. The media either fails to be critical enough or hysterically amplifies the importance of a single Facebook post. For example, Jussi Halla-aho’s provocative, sometimes satirical and ironic blog posts have been interpreted as literal political statements. It’s time to address the elephant in the room: how frustrating is it to be in a party, which seems to stumble from one scandal to another? The Finns have repeatedly blamed the media for partisan and unfair reporting, manhunts and intentionally misunderstanding them. But the Finns are notorious for their provocation-spewing politicians. That tactic is starting to bore even their party colleagues, and Elovaara has limited patience for behaviour like that. Then, Elovaara turns diplomatic. She starts talking about marginalization and societal change, and says we should understand disappointment and aggression, not yield to it. It has always seemed like a given that Timo Soini would continue to be the head of the Finns Party. Recently however, strong feelings concerning immigration and contenders like Halla-aho have dented Soini’s institutional position. The Finns are due to elect a new party leader at their party congress next June. Though no one has officially announced their candidacy, there are really only two possibilities: Soini and Halla-aho. Soini has almost single-handedly raised the Finns Party to being the county’s third largest party, thoroughly shaking Finnish politics in the process. Halla-aho, in turn, has profiled himself as a champion of the anti-immigration wing; the Homma discussion forum was inspired by the comments section of his blog. In a poll published by Lännen Media in early January, Halla-aho’s popularity ratings were almost even with Soini’s. He has the full potential to become party leader. Political pundits believe Halla-aho’s rise to power would pigeonhole the Finns even more as a single-issue party. These developments worry Elovaara, and play their part in corroding her belief in the Finns as a citizens’ movement for people from all walks of life. If Halla-aho becomes chair, would it repel the voters, who gave their votes to protest the mainstream? Veterans in politics know very well what kind of changes are actually possible. Elovaara thinks political inexperience is to blame for the anti-immigration wing’s utopian daydreams. The most standoffish, or “nuiva” members have been disappointed by bold promises of anti-immigration action in the past. When the Finns made it into government this outlandish talk was proven to be just that: talk. The borders are still “open” and not even Halla-aho can shut them on his own. “I’d like to see those government formation talks, and how that kind of foreign policy would be implemented in practice,” she scoffs. You mean rejecting all refugees? Every cloud has a silver lining. Elovaara believes giving Soini a run for his money would “brighten the working class agenda” and clear the air. It would force the Finns into a serious and thorough ideological conversation, which–before now–was seen as unnecessary. Elovaara emphasizes that the Finns are a relatively young party, for whom ordinariness is both a weakness and a strength. Its organisation and procedures are very different from those of larger parties, and being different is both a blessing and a curse. Other major parties have communications managers, communications coordinators, communication planners and heads of communications, while the Finns are lacking in these titles altogether. This leads to frequent communications blunders. Their politicians are often quoted saying something outrageous, and the media’s attempts to get Soini to condemn rascism always end awkwardly. What else would you expect from a political party, whose leader’s personal blog has been a laughing stock for years, and whose youth wing chair, Sebastian Tynkkynen, thinks crawling up church steps in a diaper is a good way to further their political agenda? Party Secretary Riikka Slunga-Poutsalo seems indifferent to facts because hey, what matters is how things feel. To top it all off, the party’s general make-it-happener happens to be Matti Putkonen, who loves nothing more than organising eccentric media performances, which leave viewers wondering whether he really believes his delusions or whether the media have swallowed yet another elaborate postmodern parody without chewing. It’s hard to imagine Tiina Elovaara preaching about spontaneously combusting bats like, or having hissy fits over muslim children trick-or-treating. Elovaara has a hundred reasons and more to switch parties. Yet, defection is all but an impossible thought. Why? Because the Finns have given Elovaara everything. Because ultimately, this is not a question of sense, but sensibility. It always protects, it always perseveres.